Our Oak sleepers are longer lasting and free of chemical treatments. 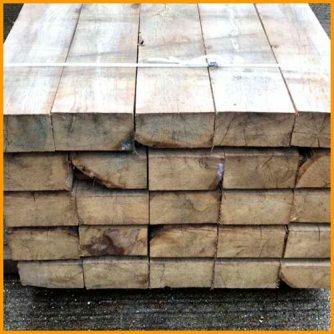 Hardwood oak sleepers do not have to be treated with creosote or pressure treatment to prevent them rotting and collapsing. Oak sleepers are generally much more durable and naturally longer lasting. 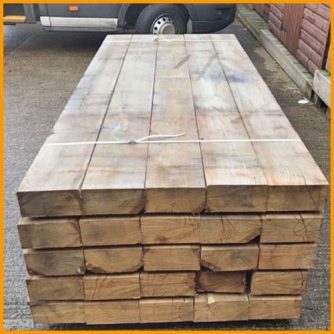 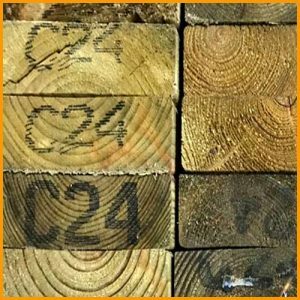 Hardwood Oak sleepers are suitable for use in ground contact situations such as retaining walls and raised beds, patios, water features, edging, borders and decking.